Our South Region U19 development match versus CN Select started off as a tough battle with many interceptions being made by both teams. The first quarter started off well for Eagles scoring from the first 3 centre passes. From there, the team kept up the work rate and finished the first quarter winning 10-8. 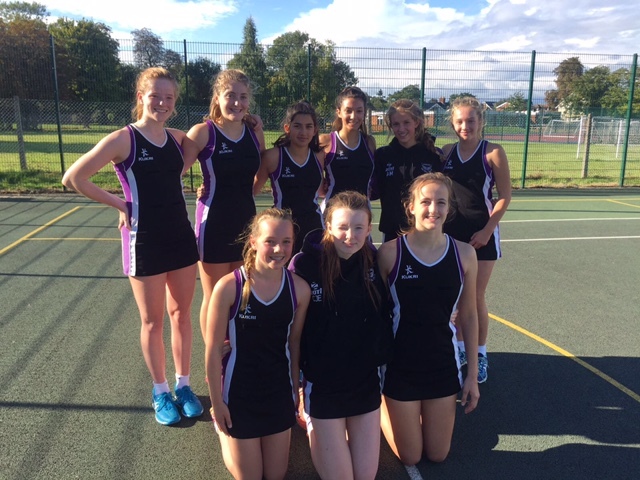 We played a great U19 match against MSN netball club on Sunday 19th November. In the first quarter, we played well, keeping our attack and defence strong. It was a close score of 15-10 to us at the end of the quarter. The match got off to a slow start as Eagles went 4 down in the first few minutes of the match. The game then picked up and the score went with each centre until the last minutes of the quarter when dreams got 4 in a row from turnover ball. This was down to some strong play and excellent shooting by Dreams. At the end of the first quarter Eagles were 6 goals down with the score being 15-9. The match got off to a slightly slow start for Eagles with Woodley beating us 3-0 in the first few minutes, however Eagles soon picked it up again and won the first quarter. Eagles had a great start to the season at the BPNL netball league yesterday. Their first match of the season was against Wokingham 3. Wokingham started strongly and by the end of the first quarter eagles were just slightly ahead by 3 goals. A dominant second quarter saw Farah and Charlotte B defending hard and provided eagles with a greater lead. But there was no complacency as Wokingham were frightening strong. The goals kept flying in from Emilie and Charlotte j-e.Speed was crucial as the centre court players smoothly fed the ball down the court. With a convincing final score of 46-21 to Eagles, it was a promising ad encouraging start to the season.